Hi guys! 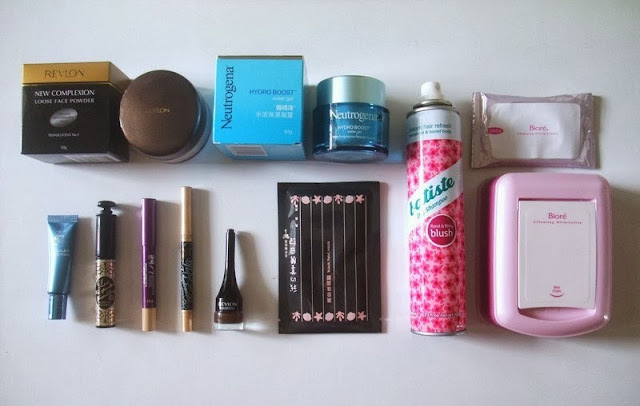 Being a wishy-washy indecisive girl myself, I tend to buy a ton of products that sometimes never get to be used. So for me to actually like a product enough to repurchase it really means a lot. Items that have made it into my empties list are some of my all-time favourite, holy grail products that I have repurchase and probably will over and over again, so you should totally write them down in your shopping list and get them in your shopping trip! I have gotten both #01 and #02, since it is translucent, it does not interfere with your foundation colour. The finishing result is a smooth, pore-free, matte canvas that looks natural and photographs beautifully. I use it on top of my Dr. Jart BB Cream to mattify the excess oily residue that BB creams leave. (Click here to read review) I think I have used up five or six bottles of the water gel. It does not break my out at all, provides a nice cooling sensation after application and makes the skin texture appear more plump and radiant. This product is a staple in my makeup collection. This is currently my second tube. I use this mainly for my under eye circles. It goes on really smooth, doesn't emphasize lines under my eyes or make the area too dry. It is not very pigmented so it is great for redness not necessarily to cover blemish spots. (Click here to read review) This mascara is hands down the best mascara I have tried. And it is highly raved by beauty bloggers and youtubers. It is like hairspray for eyelashes. It maintains the curl for the entire day, doesn't make your eyelashes look like spider legs and is smudge-proof. (Click here to read review) BEST CONCEALER EVER! Highly pigmented and super creamy. I cannot rave this product enough. 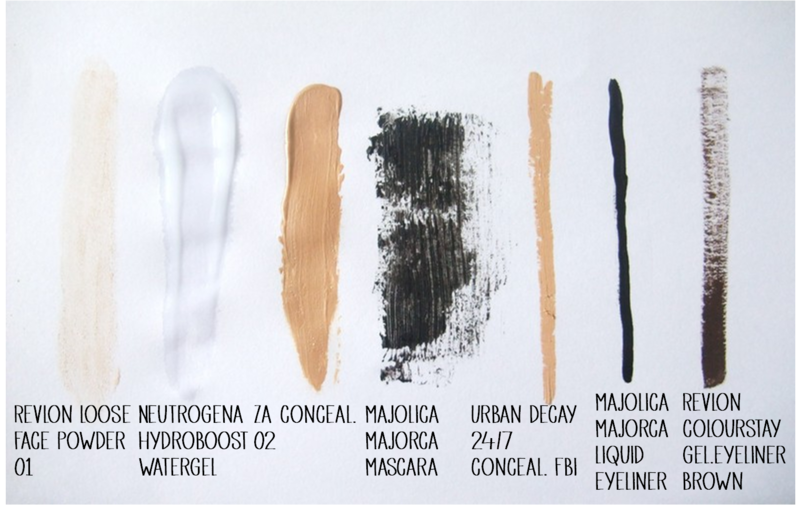 The consistency is not too dry nor too wet, does not emphasize lines or dryness and blends like a dream. Every girl needs one of these! (Click here to read review) My last stick lasted me well over 6 months of constant usage, so I am very pleasantly surprise with the amount of product given. The biggest plus is that this liquid eyeliner doesn't smudge, but flakes off when removed. So no raccoon eyes no more! (Click here to read review) I have been loving wearing brown eyeliner these days and have completely abandon my MAC Black Track aside. IMO it makes the eyes look more smokey, mysterious/seductive so I went ahead and bought another one. The lasting power is pretty good too. I have tried multiple beauty diary masks, the black pearl mask, red wine mask, bird's nest mask, and the entire floral range beauty diary masks. The black pearl mask provides the best hydration after usage, my skin never looked as plump and smooth when using other masks. And I know that their black pearl mask is the best seller for beauty diary masks so it is a must-try. I have almost waist long hair, and washing them everyday is a chore. My hair almost takes 2 hours to dry completely and washing my locks takes up the majority of my bathing time. So the best invention created for rapunzel wannabes is definitely the dry shampoo. It provides more texture & volume, plus it is so inexpensive. (Click here to read review) Calling out to all lazy girls out there you know you are one, you need to have this! These wipes are so convenient to use, it is not an excuse to not remove your makeup anymore. A pack of 48 wipes usually last a month and a half for me. Plus it removes makeup thoroughly and the wipes do not scratch the face unlike some others do. 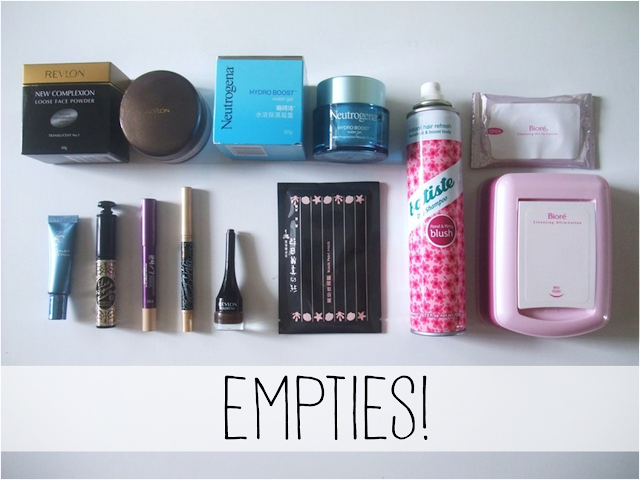 Let me know in the comments below which products has made it into your empties list! I hope you guys enjoyed this lengthy post and I will see you in my next one! Cheers! Hey guys! Just a quick outfit post today, the weather has been so unpredictable lately, it is like I'm living in the sunny Sahara desert during the day and suddenly it dips right into cold and wet Antarctica temperature in my midst of sleeping. So for fluctuating weathers like ours, I like to dress light and always remember to carry an umbrella! I love monochrome black/white pairings because they are so chic yet it takes so little time to pair an outfit together. Every thing just goes well with each other. 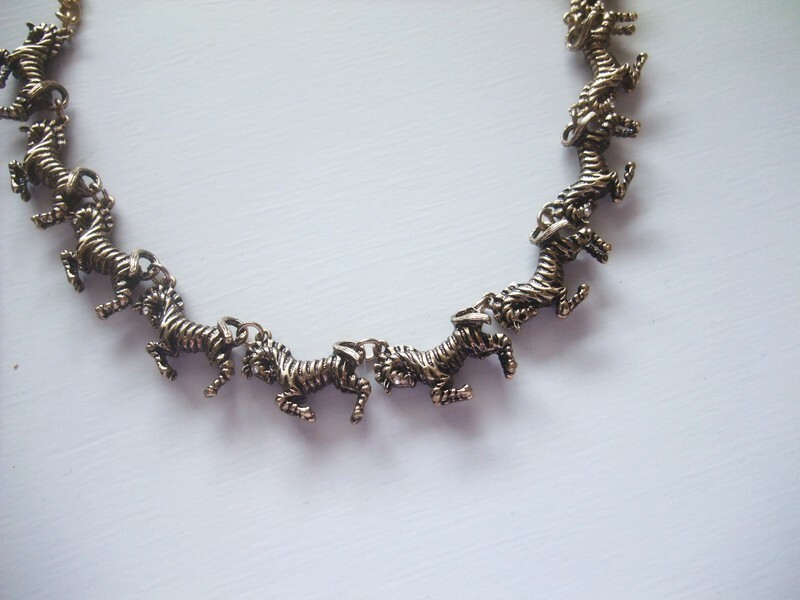 I also really like my herd of horses necklace from Lovisa, very cute and unique. Definitely my go-to necklace for lazy i-can't-be-bothered days. 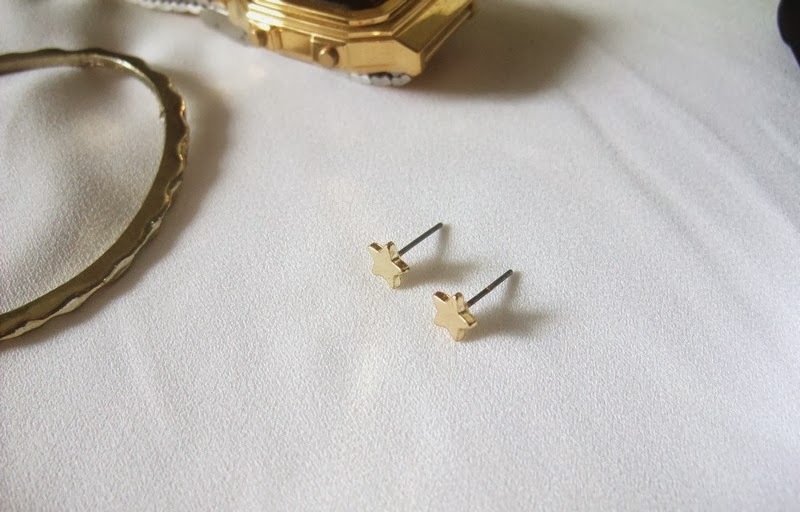 Also the tiny star studs are absolutely adorable and adds a subtle detail to my look. The top and necklace will be featured in my September haul post which will be up very soon! That's all guys! I am SO close to a hundred subscribers so please follow my blog if you like what you are reading, I will have a giveaway planned out really soon. I will see you in my next post, cheers! 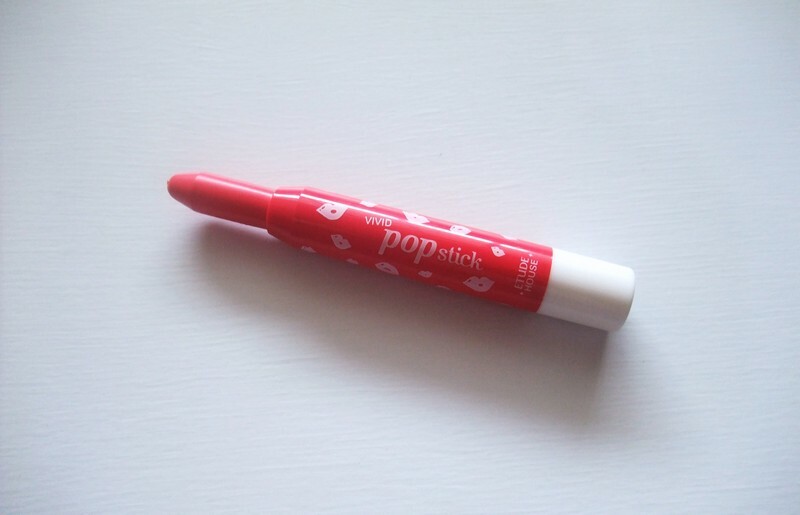 Girls are always on the quest to find the ultimate lip product, 1. unique colour that looks absolutely amaze-balls on you, 2. makes your dry lips look plump and kissable which is never possible in my case, and lastly, doesn't put a hole in your pocket. But we are often, I mean almost 90%, left disappointed with our lipstick purchase. Therefore after so many failed and successful lipstick purchases, I sort of figured myself out. Which colours look good on me, and which colours make me look like a character from The Walking Dead. Trust me it's true. It is all trial and error, everyone is different, and it depends heavily on skin tones. You can either try lipsticks out by using testers in stores, buy them and try it out, or if your friend has a big collection, just ask them if you can try them on. I am sure they will not stop you. So I think I may have found the ultimate lip product my favourite lipstick or at least at the moment which is what I am reviewing today. 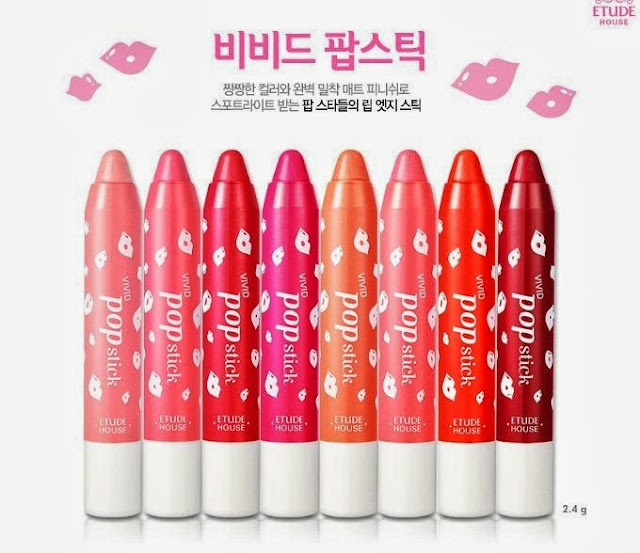 Etude house recently launch a lip crayon range called the 'Vivid Pop Stick'. So what is different from other drugstore lip crayons on the market is that the Vivid Pop Stick lip crayon is MATTE. 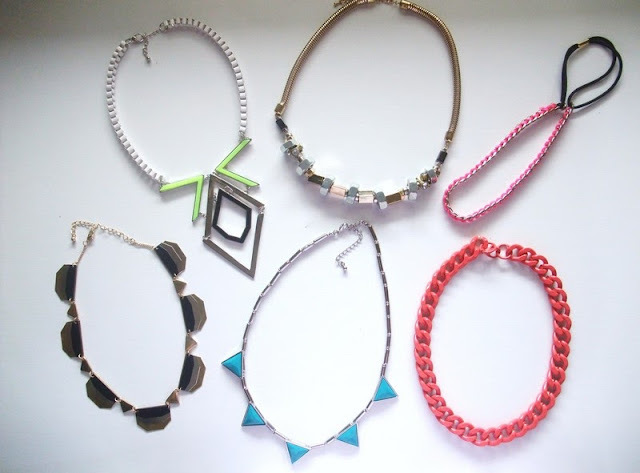 It comes in a wide range of unique bright colours and many ways to wear them! The shade I am introducing today is no. 3 Just Dance which imo will look good on almost all skin tones especially fairer skin tones. This particular colour is very trendy this year, I would describe it as a hot pink + red or in fancy language , a watermelon pink shade. This shade is very wearable because it is not as 'in-your-face' as a stark red colour. Plus I haven't seen this shade in a matte crayon lipstick form so double thumbs up! I'm sure everyone knows that matte lip products are always drying, I wore this for the whole yesterday and surprisingly enough, it did not dry my lips out. My lips did get dry but not all crackly and flaky which I usually encounter using lipsticks. It did make it looks slightly drier, but that happens with all matte lip products. The colour is amazingly versatile, buildable to an opaque shade, or you can dab it slighly to achieve a stained or gradient look. 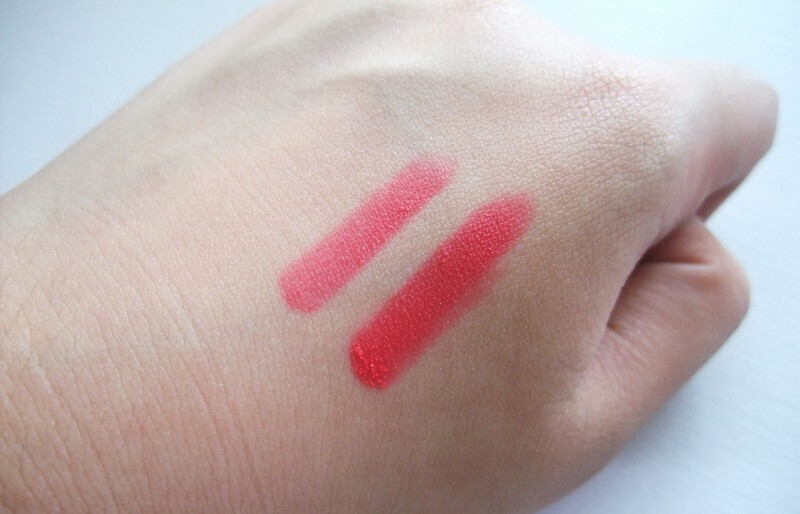 The colour pigmentation looks exactly the same on hand and on lips. The shape of the crayon makes application a breeze, there is no sharpening needed, just twist for more product. 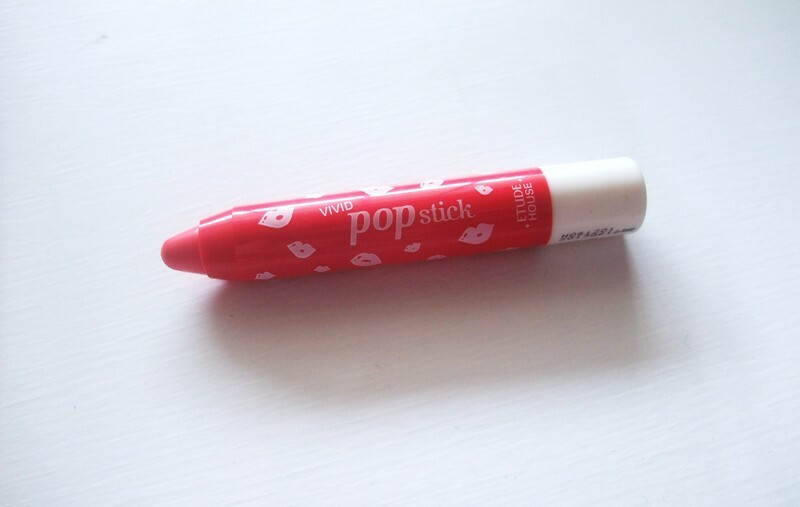 The Vivid Pop lip crayon retails for S$14.90 which is fairly afforable for lip crayons. You can get them cheaper for S$8.90 here. I definitely would be getting more colours, thereafter doing a more thorough review/comparison. Since it is on the dry side, it adheres to the lips very well, leaving a nice stain so even after a heavy meal of soup and noodles, it almost looks untouched. It may be too drying for some people, so if you have sensitive lips, you may want to steer clear away from this one. Also, if you like glossy lip colours and matte isn't your thing, I don't recommend the Vivd Pop range as they are very, very matte. Will I repurchase? Yes! I am planning on purchasing more colours, mainly the hot pink one (no.4) and either pink no.3 or coral no.6. If you are looking into matte lipsticks, I recommend trying this out! That's all guys! I hope you enjoyed this review and I'll see you in my next post, cheers! 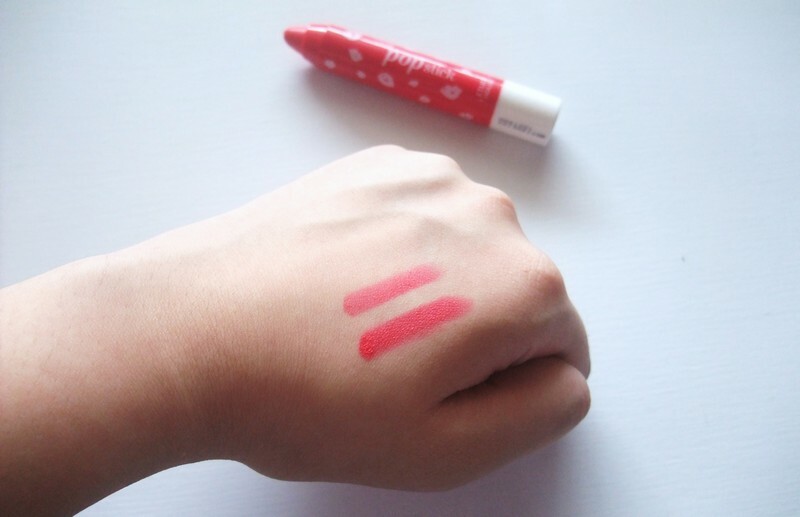 *Edit : Check out my review on all 3 lip colours (#2, #3, #4) here! Hi guys! This was the outfit I wore to a pastel themed party. I know the outfit isn't really all that pastel, but I had to work with what I have. I put together this outfit using 2 complementary colours, blue and yellow. I got this denim jacket from Esprit few months ago, it has very cute floral detailing on the sleeves and the back of the jacket. I love the structure of it and how versatile it is. The yellow clutch is from Lowry's Farm, a Japanese brand apparel store. It looks like a mustard colour in pictures but it is slightly more pale in person. The clutch comes with wrist straps and shoulder straps so if my hands are busy, I can always carry it on my shoulder. 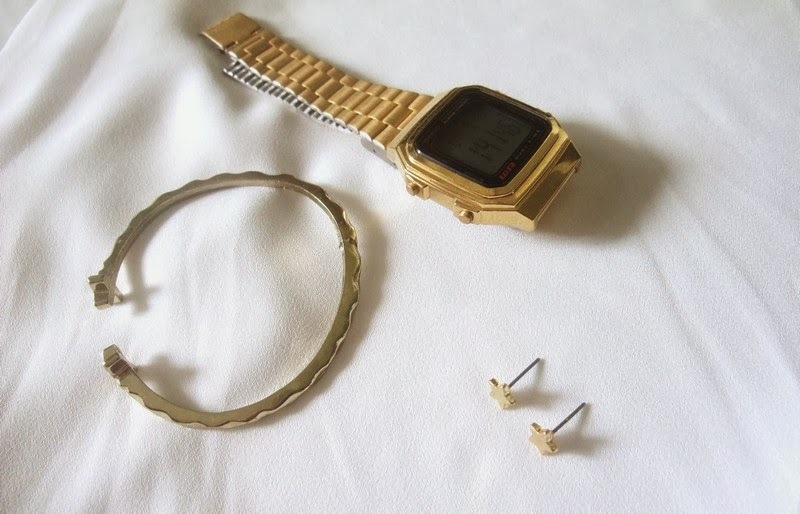 It was reduced from S$72.90 to S$34.90. The necklace I wore was from Lovisa, also featured in my previous post (click for more close-ups), it is a necklace made from glass beads in a beautiful pastel blue shade. I thought the blue in the necklace went so well with my denim jacket. 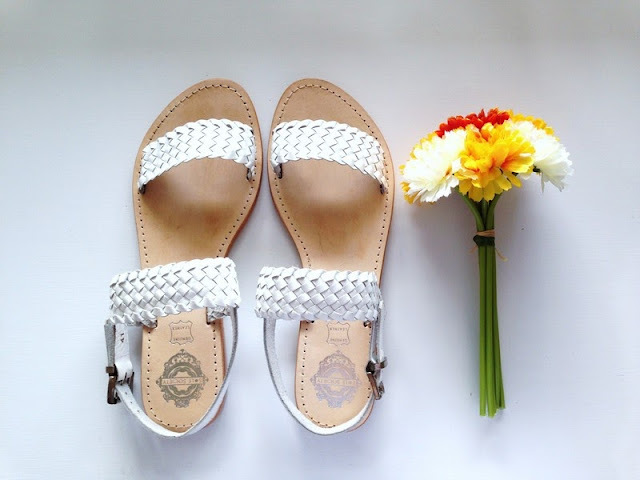 Shoes are from Sole Society, they are a pair of summery genuine leather strap sandals. I got this dress a few years ago from a clearance rack at a boutique in Bugis for S$10. I mean the quality isn't all that great, the zipper is very problematic but I love the length of this dress. And the chiffon fabric is SO soft. So a great tip for shopping on a tight budget, always search the clearance racks for unexpected surprises. That's all guys! Sorry I haven't posted in a while, I am trying to get back on posting more regularly, I actually do miss blogging very much, just that I haven't found much content to post up yet. Anyways hope you enjoyed this post and I'll see you in my next one! Hi guys, so today's topic is about stress. Life can be stressful, and sometimes things don't go your way. I had the worst past week in my entire life, I was so frustrated and stressed out, I could not control my temper and as if heaven has been playing a trick on my, that time-of-the-month came which worsen my stress level by tenfold. I was placed in situations where there is nothing I can do to make the condition better and all I want to do is to sit down and cry. I am bad at stress. I become very irritable and cranky even though it has been much better these years. And I am absolutely sure I am not the only one who needs anger management. So I have come up with a few methods that I found useful to cope with stress. 1. The most effective method I have tried to instantly alleviate stress is to drink something sweet. Drink a can of sweet tea, coca cola, pepsi, fruit juice, whichever floats your boat. I feel that I immediately ease up and become more positive, less angry and I am able to think more clearly. Perhaps when I feel that everything is going the wrong way, the sweetness in drinks cheered me up a little bit. 2. Retail therapy. As cliche as it sounds, it works. And I don't mean retail therapy as window shopping, I mean you spend real money and buy pretty stuff. Materialistic it may seem, but the excitement of buying something you like, be it a necklace, a lipstick, a bag, even a $10 t-shirt(anything works) distract you from the problem and make you feel motivated to start another day to wear your purchase out. So second tip to cope with stress, spend money on yourself. 3. Sleep. Sleep away the problem. Sometimes it is the mind that gives you the stress. If you are like me and you spend the whole day thinking about the problem and get so depressed that it is disrupting normal daily activities, try sleeping without setting an alarm. Sleeping calms down your mind and you find temporary relieve even for a few hours, which I think helps a lot when you are depressed. 4. Change your appearance. Just had a bad breakup? Failed your exams? As if letting the past go and moving on with your brand new life, changing your appearance helps to cope with stress and anxiety. Do you have anything you always wanted to change? Maybe you should try out a lighter hair colour, go for a manicure to pamper yourself, change up your lip colour and wear a bright lipstick for the day. All these changes helps psychologically to break apart from your previous lifestyle and start afresh. 5. Think to yourself what you are grateful for in that moment and tell yourself 'it could have been worse'. For me, throughout the week I was grateful for my mother who stood by me during my tough times, tolerated me even when I raised my temper at her for no reason. My dad, who would call me during work because he was worried about me. And just think to yourself that the situation could be have been way worse, you could have lost everything but you didn't. At least there are still people that love you, and that is all that matters. And you will feel positive energy instantly. That's all guys, my 5 tips and tricks to deal with stress. Let me know down in the comments section how you cope with stress, are you like me who needs to be distracted away from the problem, or are you one who eats the stress away. I'll see you in my next post! Stay composed and stress-free! Hi guys! How is your week? For me, it has been a crazy seven days, both positively and negatively, mainly being at parties, wedding dinners, major problems with school work and including comforting friends after break ups. I went to Lovisa before a birthday party and saw some pretty pieces that were on sale. Of course I couldn't pass them up and got them immediately. 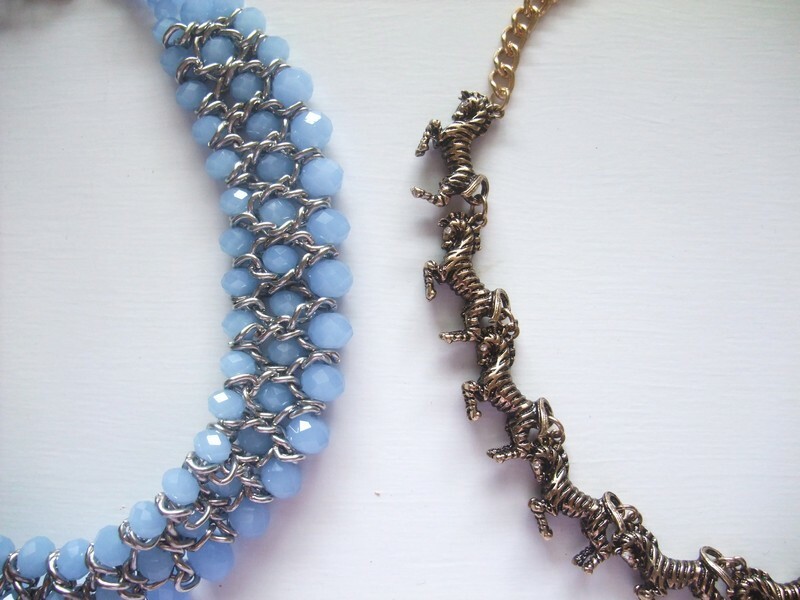 I got 2 necklaces from Lovisa, one is a gorgeous pastel blue bib necklace and a fun, wacky horse herd necklace. The pale blue necklace is made from glass beads and they look slightly lilac in real life. 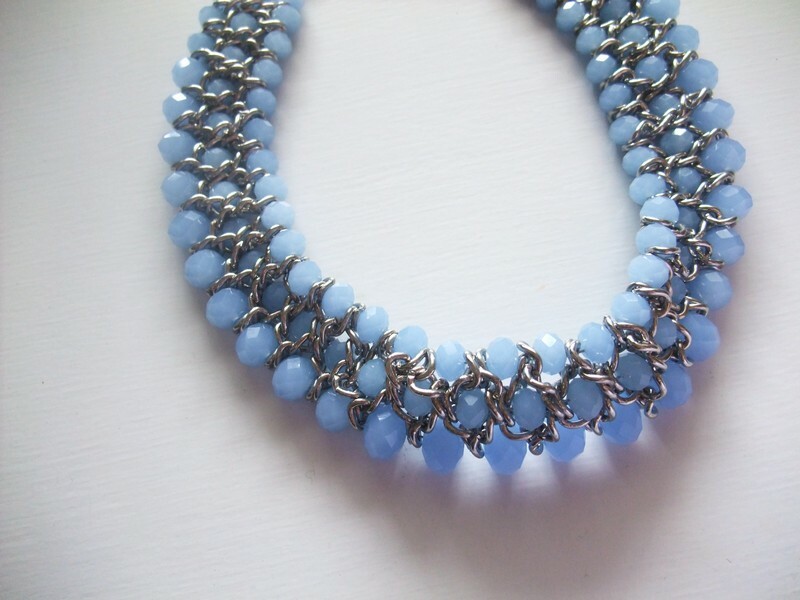 I like wearing it over just a simple white t-shirt or over a maxi dress to glam up any outfit. 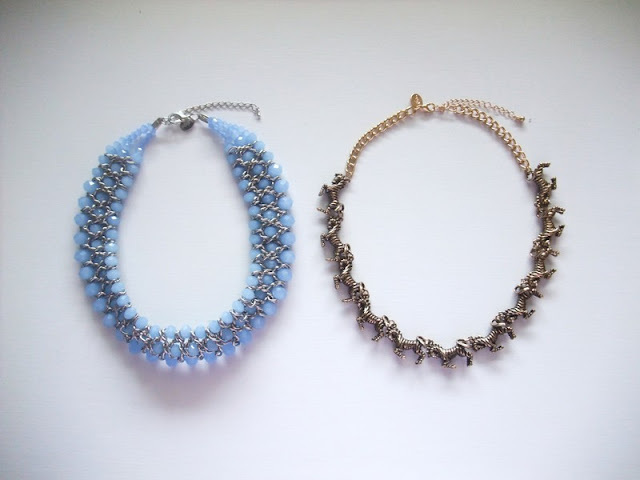 The glass beads in the middle row have a darker hue to them to give the necklace a more textured and 3-dimensional look. Original price was S$50, on sale for S$15. I also bought a horse herd necklace with gold galloping horse pendants on them. 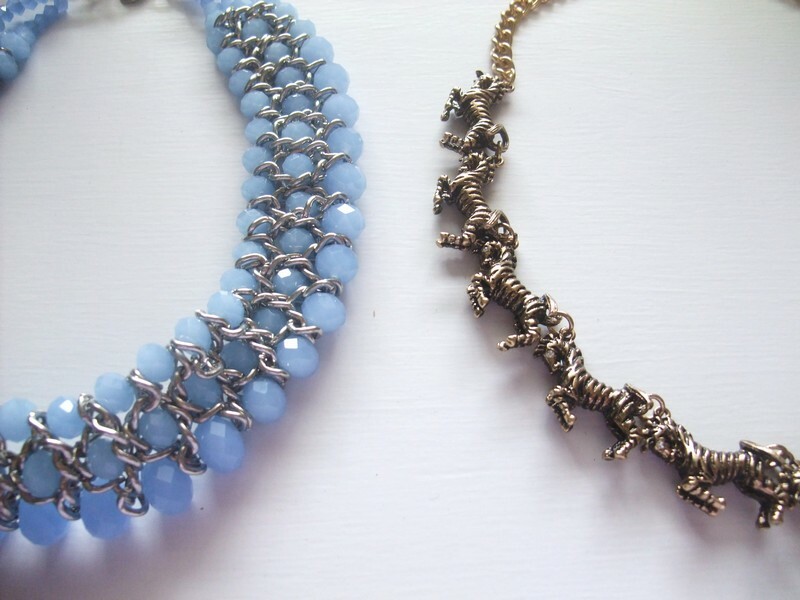 I think it is a very quirky and cute necklace design and I think it will be a conversational piece if you want to make a plain, dull outfit look interesting. I think it will be great for school and outdoor activities where you want your outfit to be casual yet out of the ordinary. Reduced from S$26 to S$9. These items should still be available in stores so check them out if you are interested. Let me know which piece you like, or if you have any favourite jewelry items from Lovisa.